Are you looking for a little more analog in your life? If you are suffering from eye fatigue, or just want to organize your thoughts with pen and paper, a Leuchtturm1917 Notebook can help! 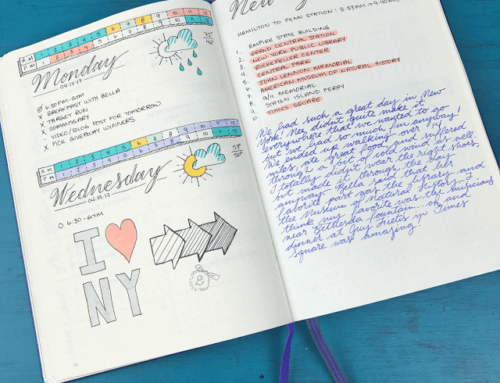 In the past year, Leuchtturm1917 Notebooks have spiked in popularity due to the rise in bullet journalers around the world. 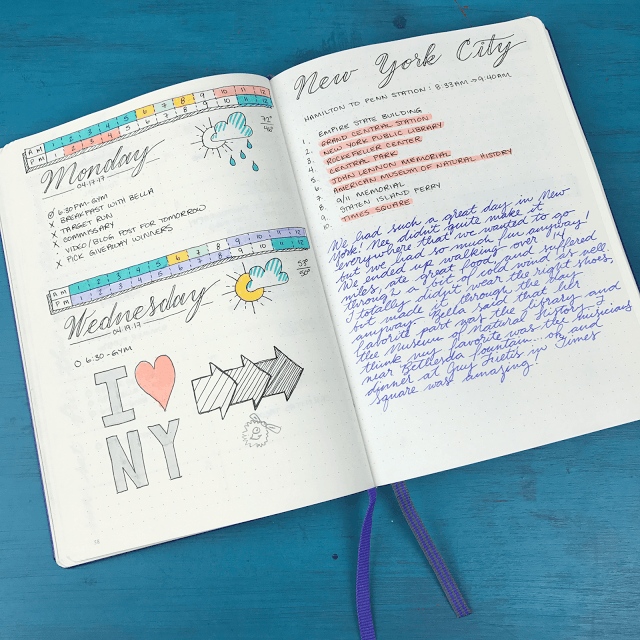 Bullet Journaling is a system developed by designer Ryder Carroll and can be done in any notebook, with any writing instrument. 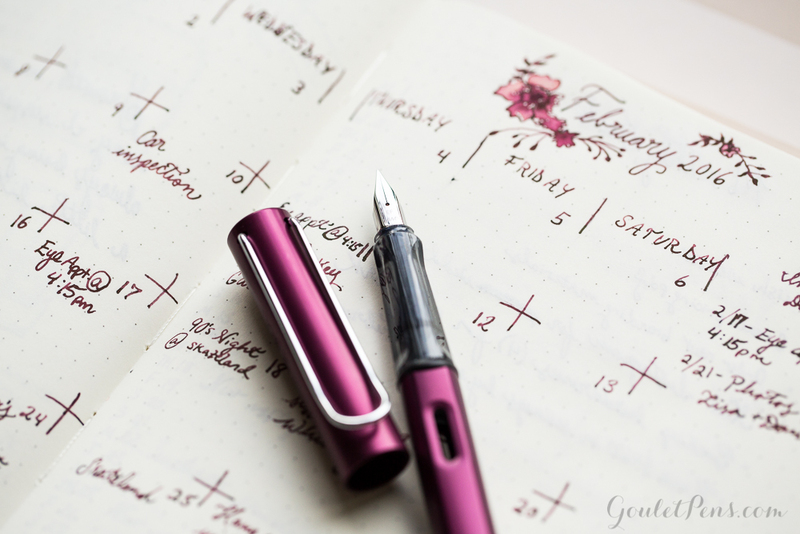 However, if you are keen on using your fountain pens, you’ll want to make sure you use a notebook like Leuchtturm1917 that contains fountain pen friendly paper. 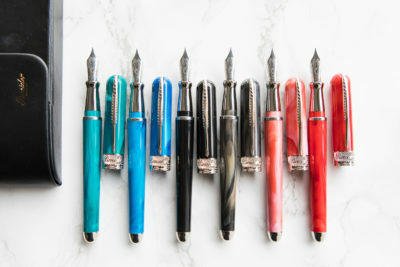 That being said, here at GouletPens.com, we currently offer three different varieties of A5 size Leuchtturm1917 Notebooks. Trying to differentiate between the regular Leuchtturm1917 A5 Notebook, the Leuchtturm1917 Bullet Journal, and the Leuchtturm1917 Weekly Planner can be tricky. We’ve put together this comparison video and blog to give you all the details and figure out which notebook is the best for you! 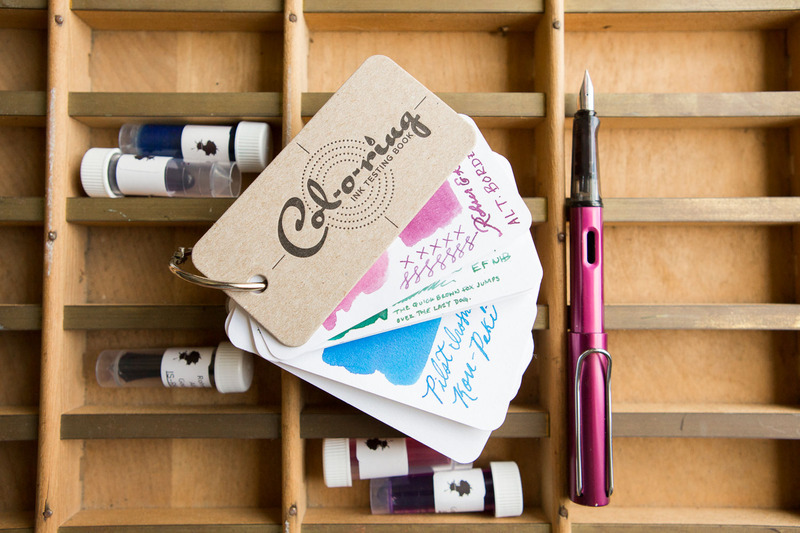 At a glance, these commonalities can make all of the Leuchtturm1917 Notebooks seem alike. However, when you get down to the nitty-gritty details, you find many unique characteristics that make them better suited to different uses. 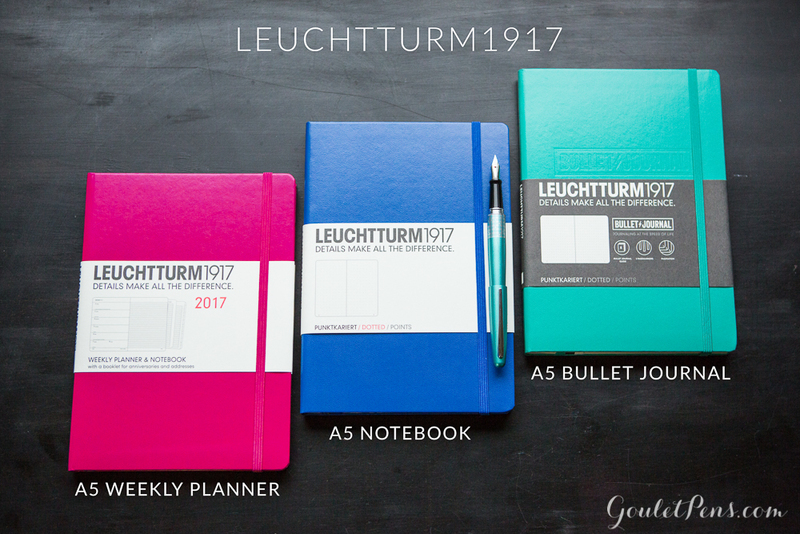 At a glance, the Leuchtturm1917 A5 Bullet Journal notebook looks very similar to the other two options. 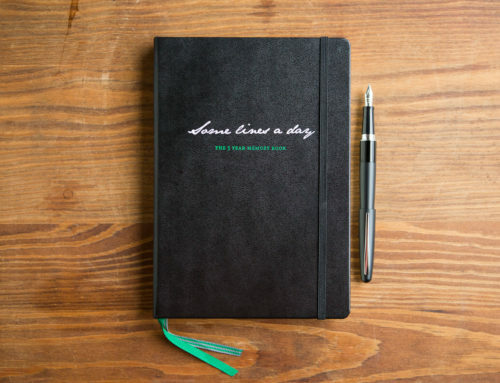 However, it is only offered in two colors, Black and Emerald, and features an embossed cover that reads “Bullet Journal.” It has 248 pages of dot grid paper, which is slightly less than the regular Leuchtturm1917 A5 Notebook. If you are considering picking up the Leuchtturm1917 A5, some of pros are the Key & Tips at the beginning in the end of the journal. 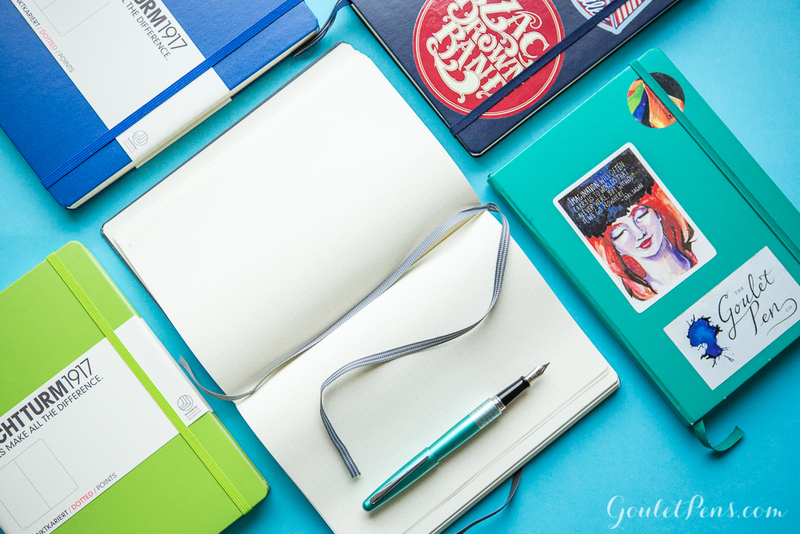 This is especially helpful if you are new to Bullet Journaling, because you can quickly reference them if need be. The same goes for the explanation of symbols, and overviews of collections, migration, and index. The three bookmarks come in handy, too, because you don’t have to scramble to find your collection. Finally, since the majority of the pages are numbered with a dot grid ruling, they are easy to adapt to your own style, whether that is a minimalist approach or highly artistic. Some of the cons of using this the Bullet Journal as opposed to any of the other Leuchtturm1917 A5 options are that there are less pages, and no removable note pages in the back. It is also only available with a dot grid ruling, so if you like lines or blank, no dice. You can find the Leuchtturm1917 A5 Bullet Journal in Black or Emerald at GouletPens.com for $24.95. The Leuchtturm1917 A5 Notebook is an awesome all around notebook. 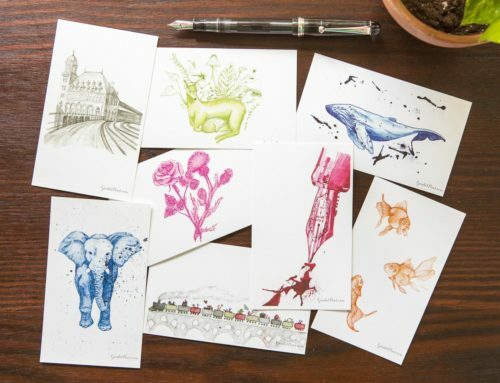 It has all the features of the other two, but is offered in a variety of colors that come and go over time, including special edition and limited edition notebooks. The cover is plain, which allows you to cover it in stickers or decorate it as you see fit. 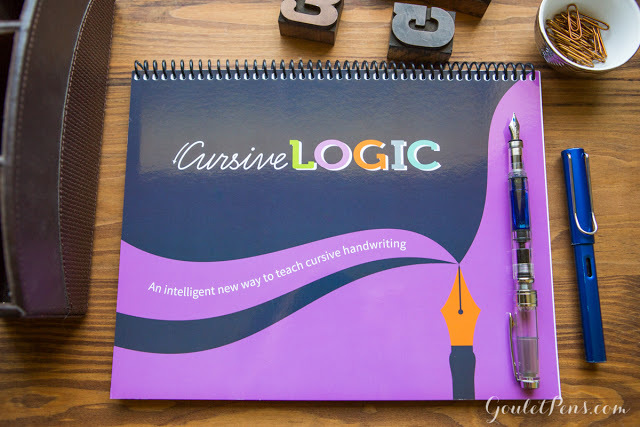 There are 249 pages in each notebook and it is offered with lined or dot grid ruling. 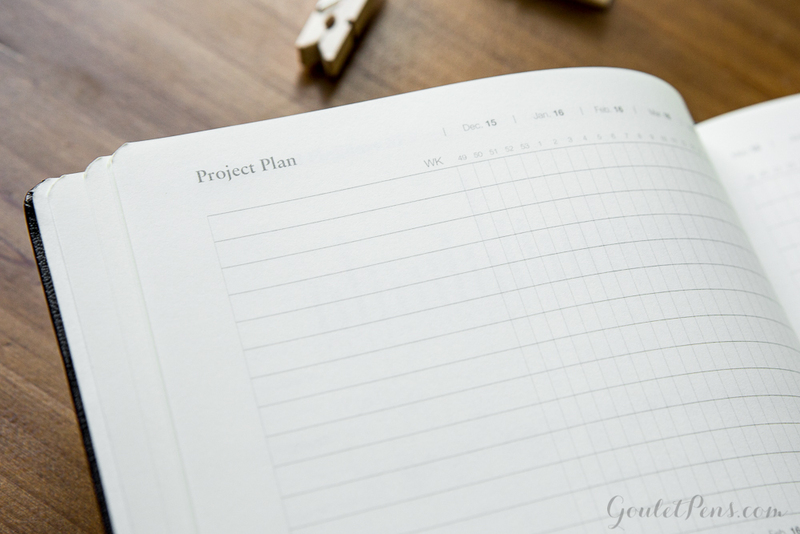 It’s great for people who already have a Bullet Journaling system that they are working with or are looking to really customize it to their needs. 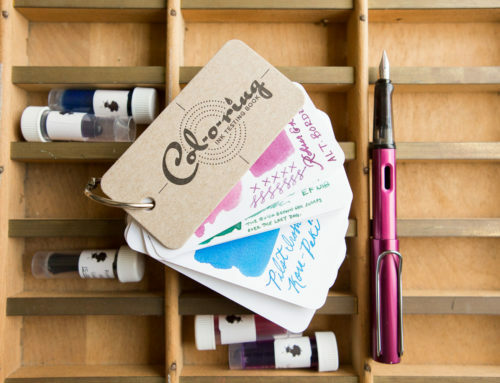 If you are thinking about picking up a Leuchtturm1917 A5 Notebook some of the pros are the variety of colors and the open format and multiple ruling options. 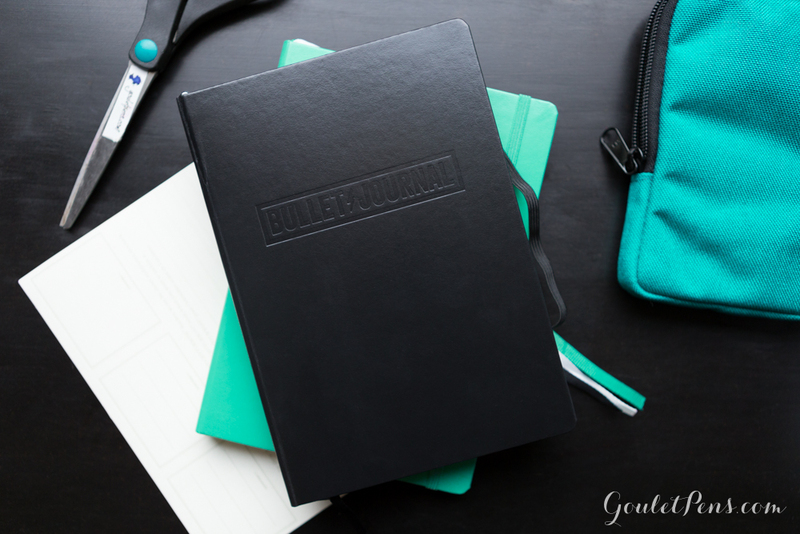 If you are not planning on Bullet Journaling per se, this notebook will work as a journal or diary. You can find the Leuchtturm1917 A5 Notebook at GouletPens.com for $19.95. 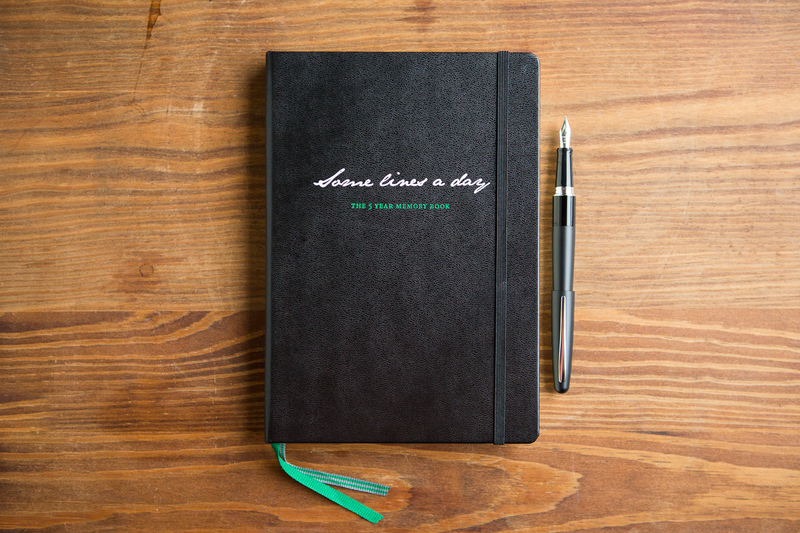 A removable address book and birthday calendar that is transferable from one year to the next. 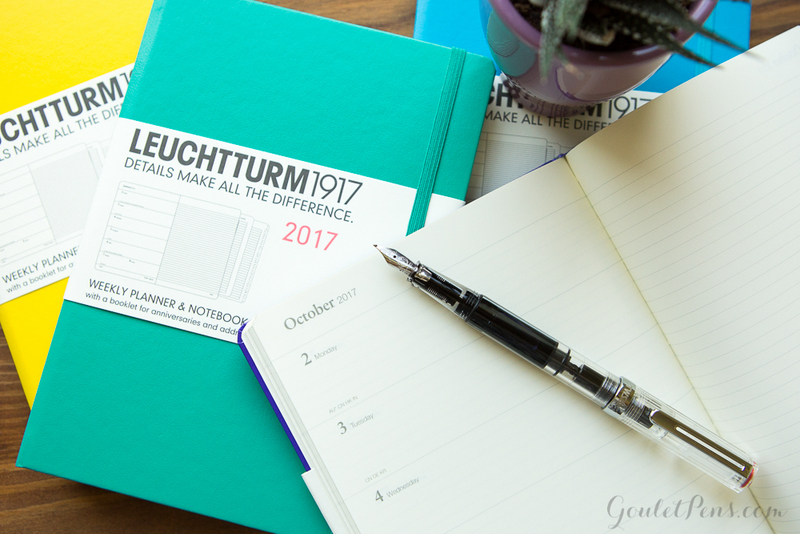 The pros of the Leuchtturm1917 Weekly Planner are that it is significantly thinner and lighter than other Leuchtturm1917 Notebooks. 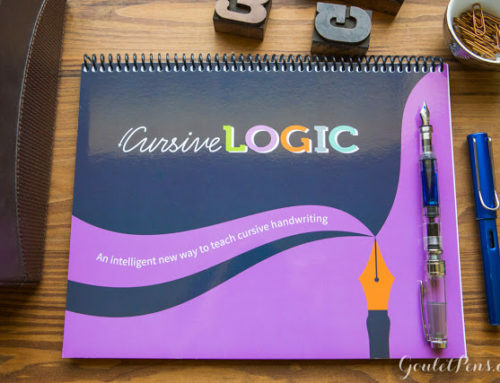 If you want a more traditional planner, this is a unique format that would serve you well. The transferable address book is definitely a plus, especially if you need easily accessible addresses and phone numbers. dots for guidance. Because the left side is blank between the lines for the day of the week, ghosting seems to be worse because of blank paper. Finally, this weekly planner must be purchased yearly, instead of used as you like it. You can find the Leuchtturm1917 Weekly Planner from July to January at GouletPens.com for $24.95. The pages of a Leuchtturm1917 A5 Dot Grid Notebook customized into a bullet journal. 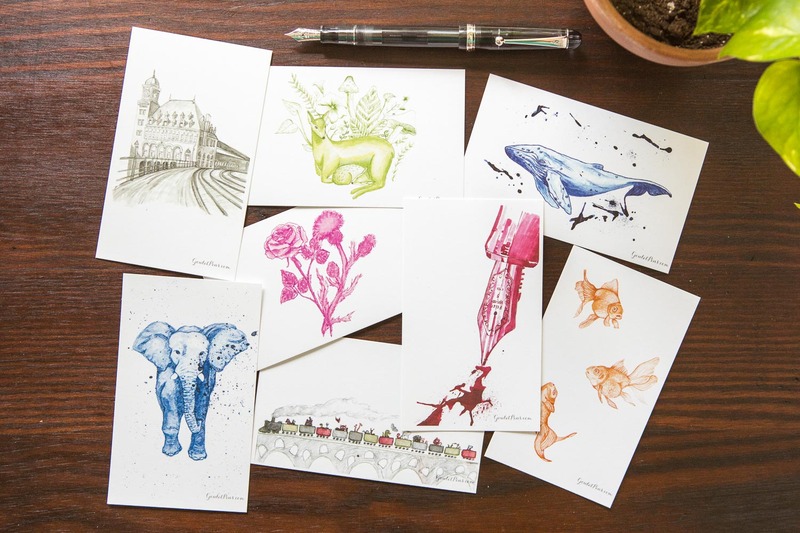 In addition to the Leuchtturm1917 A5 Notebooks, we carry several other offerings from Leuchtturm, including B5 notebooks, Sketchbooks, and pen loops. 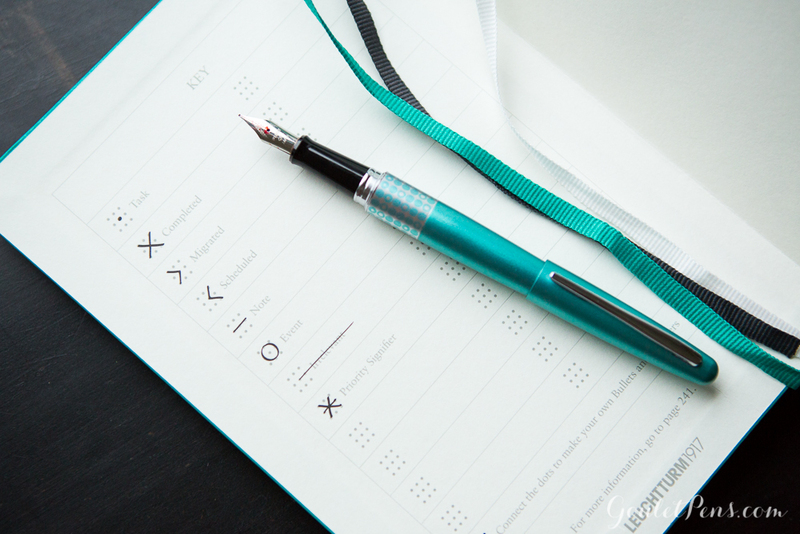 See our entire Leuchtturm1917 selection here! 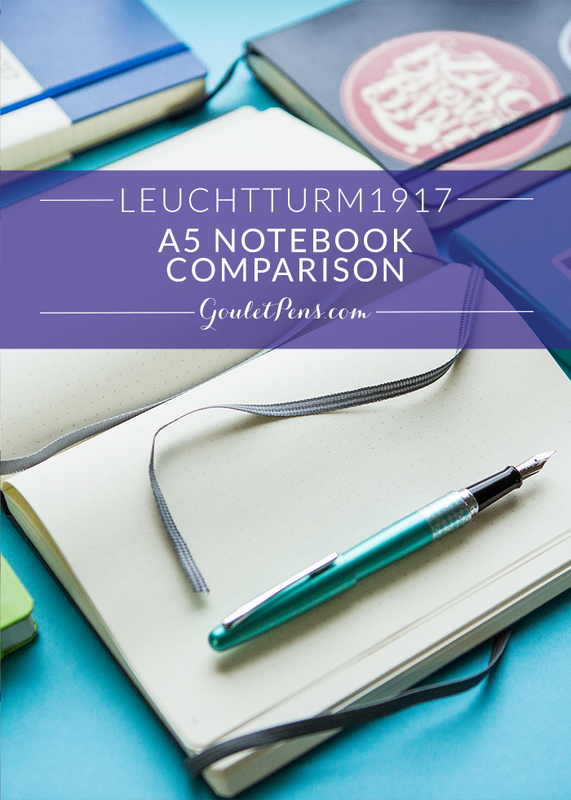 Which Leuchtturm1917 A5 Notebook do you use? Leave a comment and let us know!